Mark S. Nestor, M.D., Ph.D., serves as Director of the Center for Clinical and Cosmetic Research™ and the Center for Cosmetic Enhancement®, Aventura, Florida. He is a Voluntary Professor in the Department of Dermatology and Cutaneous Surgery and the Department of Surgery, Division of Plastic Surgery at the University of Miami, Miller School of Medicine. He is the current President of the American Cutaneous Oncology Society, a past President of the American Society for Photodynamic Therapy, the International Society for Cosmetic and Laser Surgeons, and Florida Society of Dermatology and Dermatologic Surgery. As Director for CCCR he has conducted more than 150 FDA and non-FDA clinical trials. Dr. Nestor is recognized as a world expert in clinical therapeutics, drug delivery systems and research in many areas of clinical Dermatology and aesthetics including acne, psoriasis, and skin cancer, light therapies to treat skin disease, cutaneous laser surgery, photodynamic therapy, and Superficial Radiation Therapy. 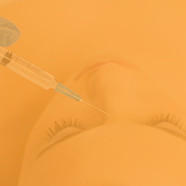 His aesthetic expertise includes lasers, RF and other devices, fillers and he recently developed new clinical postulates for botulinum toxins. He has authored over 100 articles and book chapters, has delivered over 900 major presentations around the world and is viewed as an internationally acclaimed lecturer and instructor of clinical and aesthetic Dermatology. Dr. Nestor also serves as a consultant to numerous pharmaceutical and device companies assisting them in the development of new medications, devices and Cosmeceuticals.